Optimizing response times can save lives and reduce material losses. Contact us for a presentation and an assessment of your needs. The RTI911 Mobile interactive technical directory gives building owners and managers quick access to crucial building information on a smartphone, tablet or laptop. Property managers can also grant first responders and emergency services access to the portal with a pre-authorization or remotely on a case-by-case basis. Staying one step ahead can make a big difference! RTI911 Mobile also enables property managers to improve operational efficiency, increase productivity, and reduce costs and environmental footprints. The retirement of baby-boomers will inevitably lead to knowledge losses in organizations. Now is a good time for organizations to take advantage of the RTI911 interactive technical directory to initiate a knowledge transfer planning of all technical building information to ensure the perpetuity of the information and simplify daily operations. Based on an annual package, property managers can easily update their property interactive technical directory. Whether it involves new floor layouts, new equipment, supervisory personnel or mobility impaired occupants, property managers can easily request an update by emailing us the required form. Whether maintenance work, technical equipment repairs or new floor layouts are required, RTI911 Mobile enables property managers to contact accredited suppliers, forward floor plans or grant them access to RTI911 Mobile so they can rapidly complete the work. 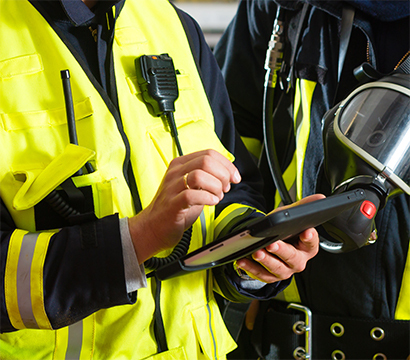 RTI911 Mobile simplifies the training of staff members, response teams and occupants. They can log in at any time and become familiar with the technical information about the building, the fire safety plan and the emergency plan. Occupants will be reassured to know that everything has been put in place to ensure their security above and beyond fire safety standards. Occupants can also be granted access to RTI911 Mobile in order to be well prepared in case of any emergency situations. 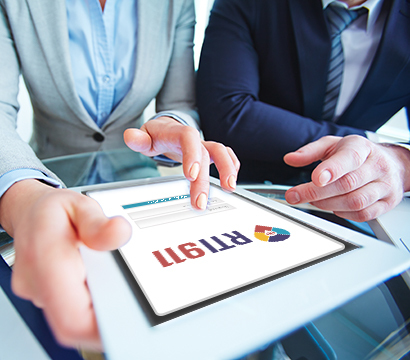 RTI911 Mobile represents a value-added management tool demonstrating that building owners and managers have exercised due diligence in the development of their fire safety plan and emergency plan. Sign in to RTI911 Mobile.